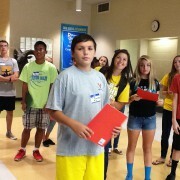 Freshmen join the RAMS during orientation. https://wjccschools.org/lhs/wp-content/uploads/sites/20/2014/08/freshmen.jpg 700 875 Monica Schauffler https://wjccschools.org/lhs/wp-content/uploads/sites/20/2017/10/Lafayette-High-School.png Monica Schauffler2014-08-26 15:39:232014-08-26 15:39:23Freshmen join the RAMS during orientation. LHS administrators take the ice bucket challenge for ALS! 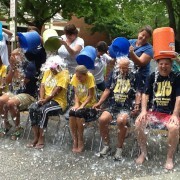 https://wjccschools.org/lhs/wp-content/uploads/sites/20/2014/08/Ice-Bucket.jpg 668 890 Amy Wallisch https://wjccschools.org/lhs/wp-content/uploads/sites/20/2017/10/Lafayette-High-School.png Amy Wallisch2014-08-22 15:43:332014-08-22 15:48:46LHS administrators take the ice bucket challenge for ALS! The Rams Field Hockey team is ready to go! 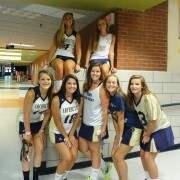 https://wjccschools.org/lhs/wp-content/uploads/sites/20/2014/08/Field-Hockey-Team-fix.jpg 2769 3692 Monica Schauffler https://wjccschools.org/lhs/wp-content/uploads/sites/20/2017/10/Lafayette-High-School.png Monica Schauffler2014-08-22 14:31:502014-08-22 14:31:50The Rams Field Hockey team is ready to go! 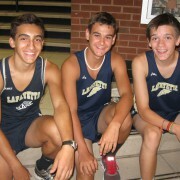 Lafayette’s cross-country team takes a break during pre-season practice. https://wjccschools.org/lhs/wp-content/uploads/sites/20/2014/08/XCountry-boys-fix.jpg 1456 1941 Monica Schauffler https://wjccschools.org/lhs/wp-content/uploads/sites/20/2017/10/Lafayette-High-School.png Monica Schauffler2014-08-22 14:28:032014-08-22 14:28:03Lafayette's cross-country team takes a break during pre-season practice.